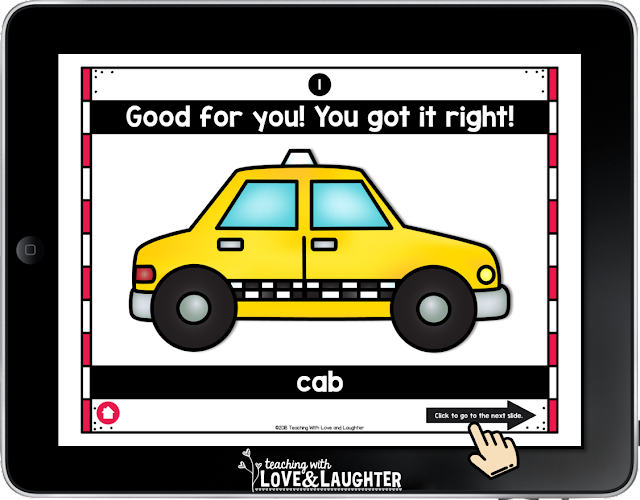 I've been creating resources for primary teachers for many years and I'm so excited to present my very first interactive resource! Interactive games make learning fun, and students who are having fun while learning, are more motivated to pay attention and stay focused on the subject. 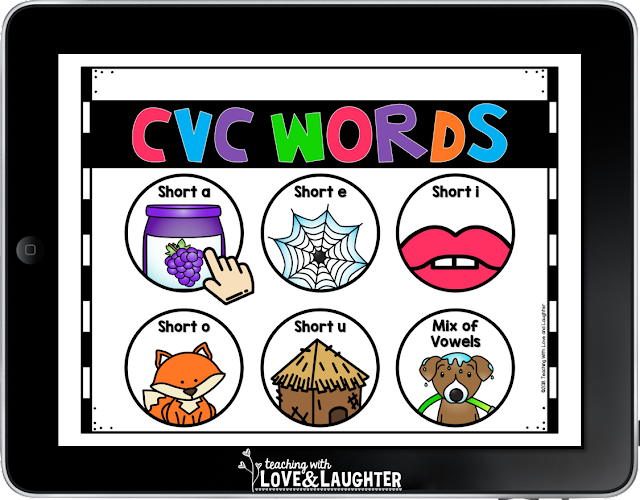 This highly engaging CVC word game will definitely engage and motivate your students. To play, students look at pictures of CVC words and choose the word that names the picture. There are two separate PowerPoint presentations, each with 6 different games, for a total of 12 games. There are a whopping 230 interactive slides! These games can be played on any device that has PowerPoint installed, like desktop computers, iPads, smart boards, etc. PowerPoint is a free app. The games include fun sound effects and transitions that will only display properly when viewed in PowerPoint. Once you have the game opened, students will see the landing page. Here is the landing page from the first show. Students can choose to play a game with only short a words, only short e words, only short i words, only short o words, only short u words, or, a game with a mix of all the vowels. They will hear a clicking sound effect when they click on one of the games. Let's check out some of the slides in the short a game. Then, they click on the arrow to go to the next slide. They will hear a clicking sound effect when they click on the arrow. But, what if they made a mistake and clicked on the wrong word? They will hear a clank and be taken to the Oops slide. 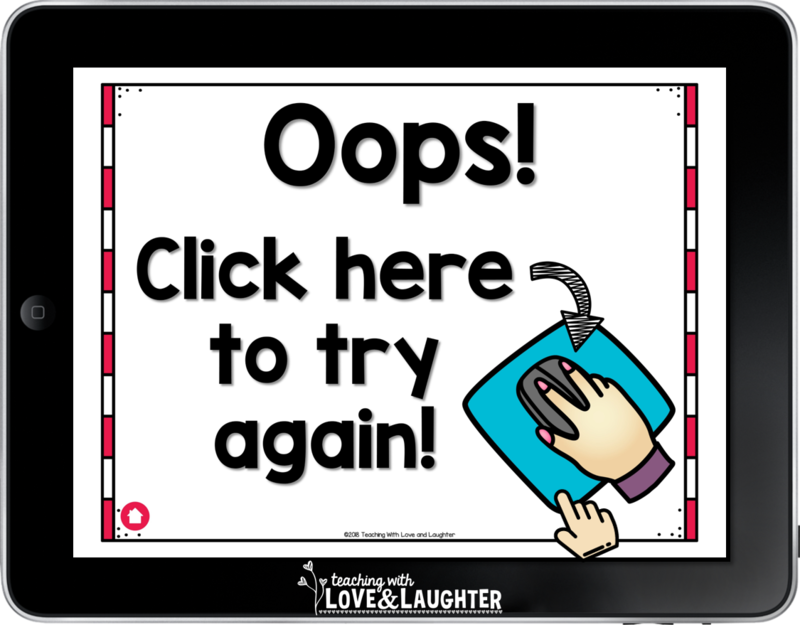 They will hear a click when they click on the mouse and be taken back to the slide with the words so they can try again. The children work their way through the games. Each game has 115 interactive slides. They can go back to the landing page at any time by clicking on the home button. They will have so much fun looking at the cute pictures, reading the words, transitioning through the different slides, and listening to the different sounds, that they won't even realize they are learning! I included 12 different recording sheets, just in case you want your students to document their learning. 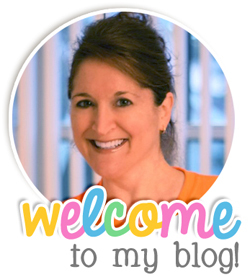 They are also great for extending the activities and maximizing learning. But, they are optional and do not need to be used. For those of you who have never used interactive PowerPoint presentations with your students, I included step-by-step directions on how to get the games onto your student iPads, as well as, directions on how the children play the games. Picture support is included. 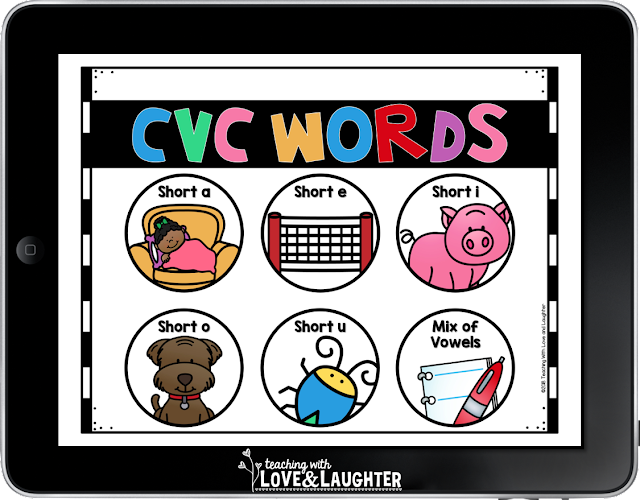 Now that you've seen the games in detail, it's time to grab them for your students and give them the opportunity to learn and practice reading tons and tons of CVC words in an engaging, motivating, and interactive way!